This page contains affiliate links to 3rd party sites where products purchased may result in paid commission to this site owner. Want to grow your pageviews? 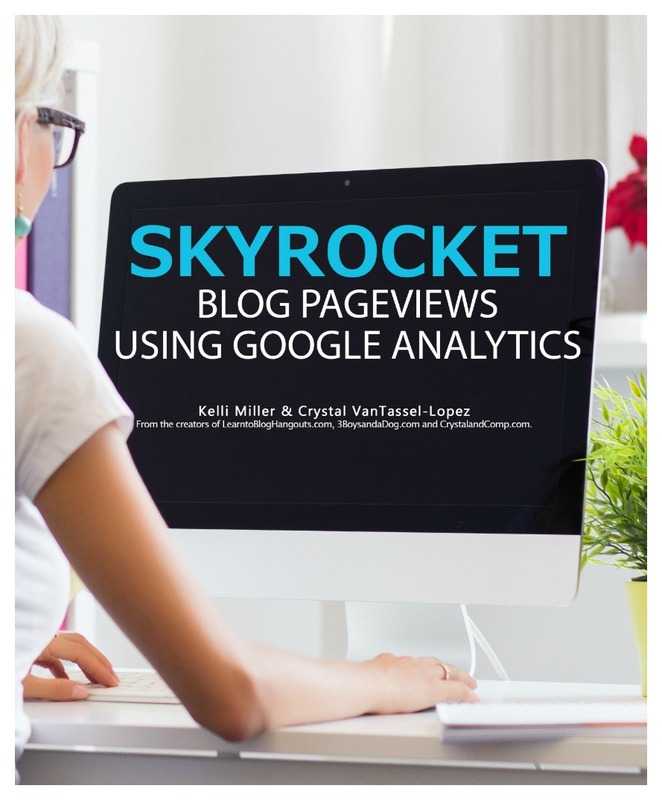 This excellent book, Skyrocket Blog Pageviews Using Google Analytics offers you indepth training on how to understand Google Analytics. You’ll learn to use the vast information and tools that GA has to ofer to grow not only your pageviews, but you’ll learn how to build a better blog in the process. What’s more, you’ll discover how to take your blogging to the next level by learning how properly add links within your posts, build landing pages, and how to relevantly share all of what you do on your social media. You’ll even learn how to use your social media analytics coupled with your Google Analytics to truly SKYROCKET your pageviews. I was privileged to be a part of the first SKYROCKET study group on Facebook, and was fascinated as I learned from Crystal and Kelli through actionable tasks with each chapter of the book how to grow my blog. I first discovered something quite disheartening about my analytics. I had it installed multiple times which was skewing my results, greatly! Kelli helped me to figure out how to fix that big problem! At first, I felt like I was starting all over again. But, it wasn’t long before my pageviews started growing again and this time, I knew without a doubt that my numbers were spot on. This book helped me to see beyond my limited goals and taught me how to set and achieve higher goals than I’d every imagined. You can’t go wrong with Learn to Blog Hangouts and you certainly can’t go wrong with Skyrocket Blog Pageviews Using Google Analytics.